You can find a brief overview and some schematics on [Connor's] website, and stick around for the video demonstration below. 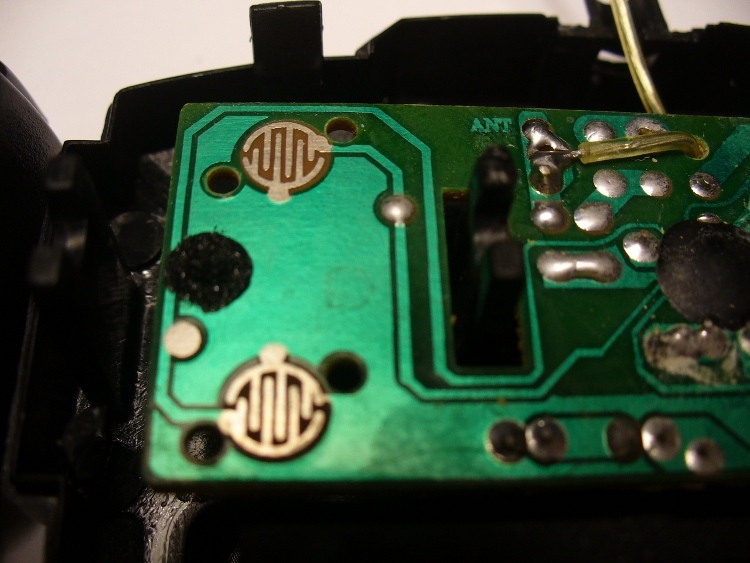 We’ve featured [Connor's] work before; if you missed his LCD data transfer hack you should check it out! 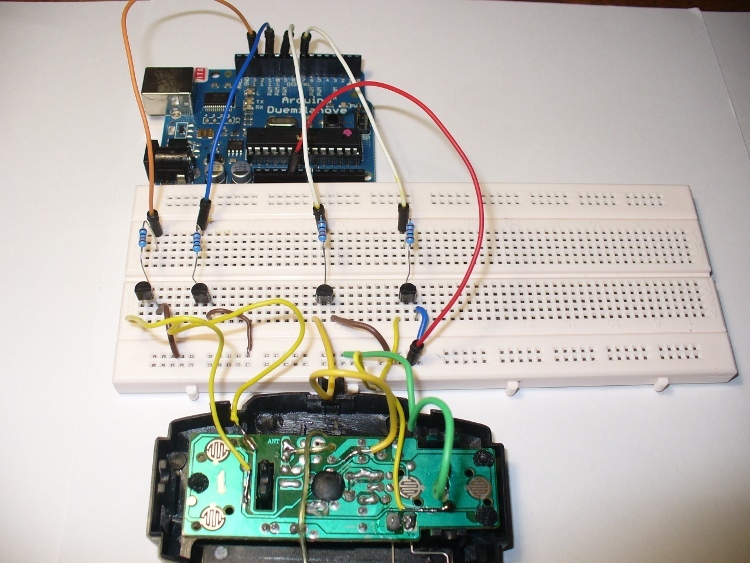 In the last chapter we started using a 74HC595 shift register to control eight output pins with only three pins on the Arduino. That was all very interesting and useful – but there is more! 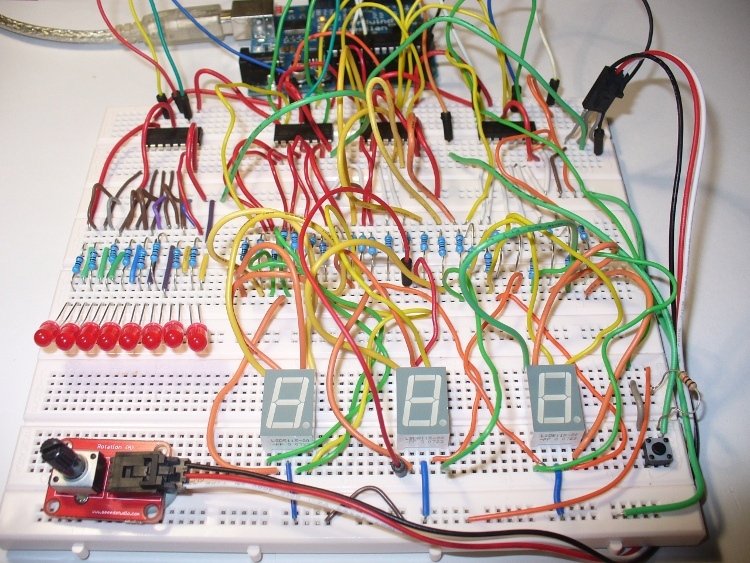 You can link two or more shift registers together to control more pins! How? First of all, there is pin we haven’t looked at yet – pin 9 on the ’595. This is “data out”. If we connect this to the data in pin (14) on another ’595, the the first shift register can shift a byte of data to the next shift register, and so on. If we add another shiftOut(); command after the first one, we are sending two bytes of data to the registers. In this situation the first byte is accepted by the first shift register (the one with its data in pin  connected to the Arduino), and when the next byte is sent down the data line, it “pushes” the byte in the first shift register into the second shift register, leaving the second byte in the first shift register. returns a value of 1; as 10 divided by 3 is 3 remainder 1. If you need to convert a floating-point number to an integer, it is easy. Use int();. It does not round up or down, only removes the fraction and leaves the integer. 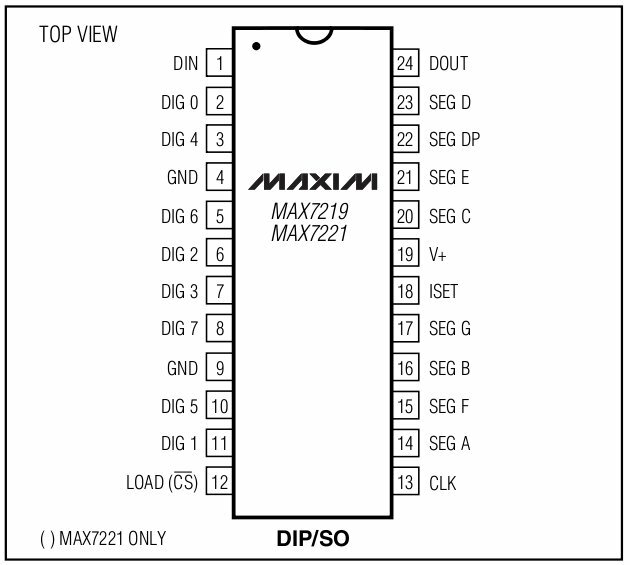 Note that pinouts can vary, always get the data sheet if possible. 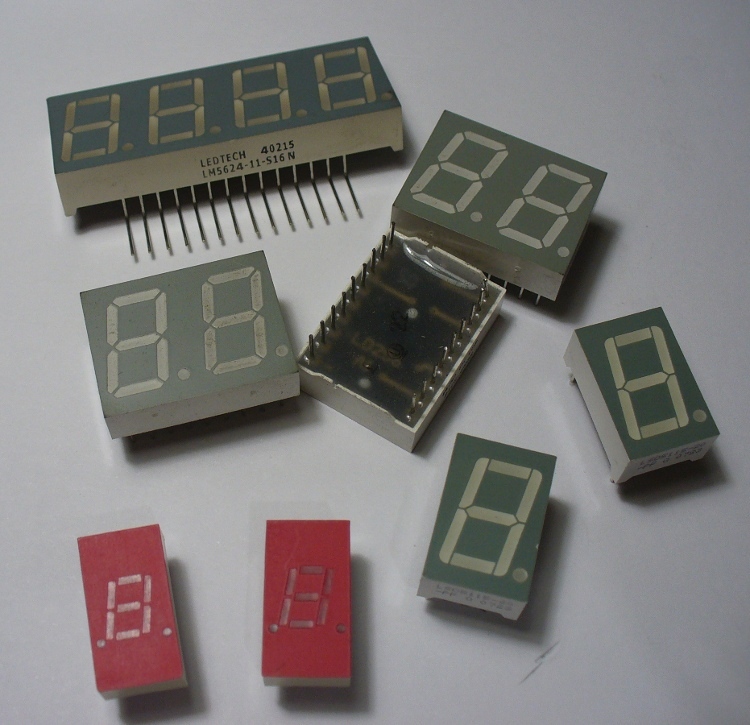 Displays can either be conmmon-anode, or common-cathode. That is, either all the LED segment anodes are common, or all the cathodes are common. Normally we will use common-cathode, as we are “sourcing” current from our shift register through a resistor (560 ohm), through the LED then to ground. If you use a common-anode, you need to “sink” current from +5v, through the resistor and LED, then into the controller IC. 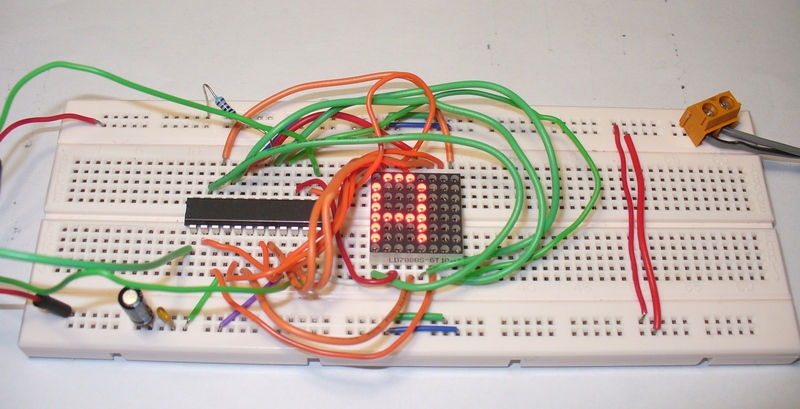 Now you can imagine how to display digits using this type of display – we just need to shiftout(); a byte to our shift register that is equavalent to the binary representation of the number you want to display. And here is a blank one for you to print out and use: blank pin table.pdf. 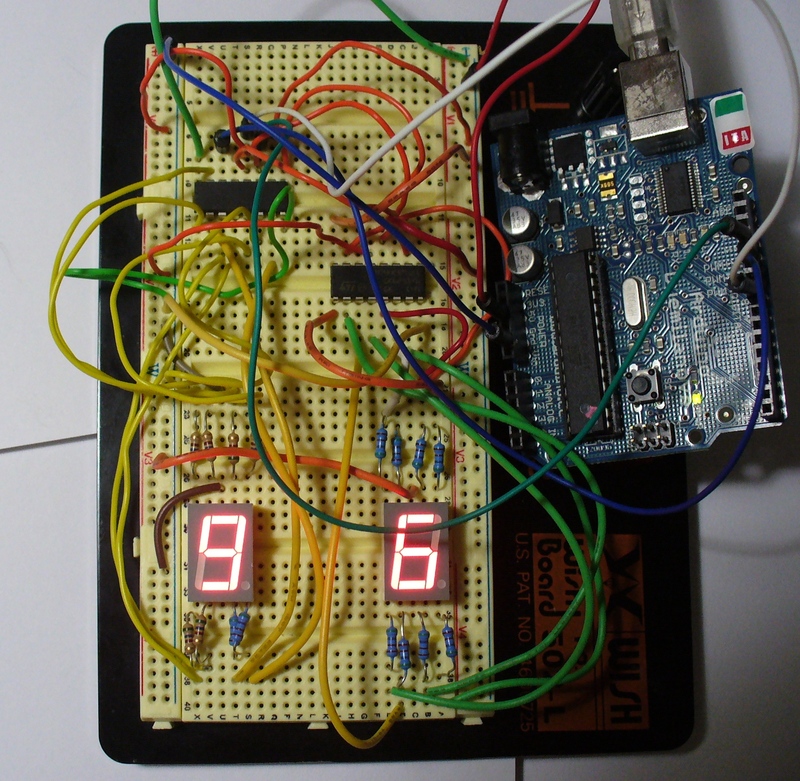 Now let’s wire up one 7-segment display to our Arduino and see it work. 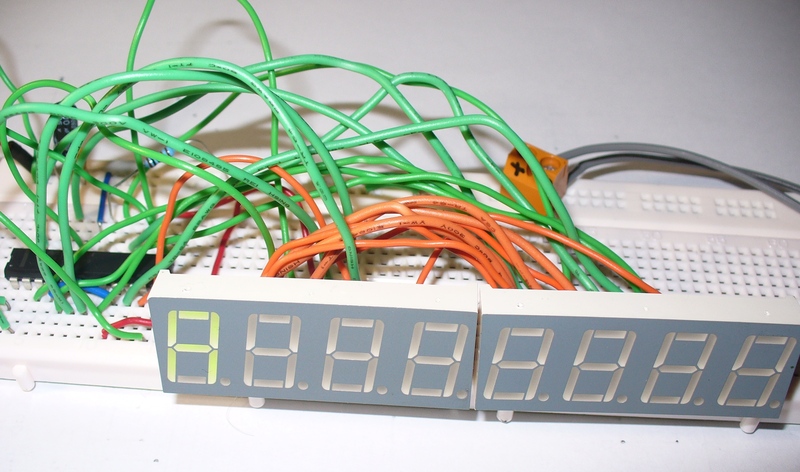 Instead of the eight LEDs used in exercise 4.1 there is the display module. 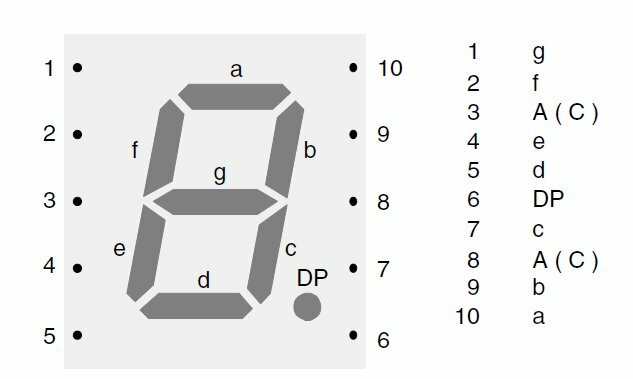 For reference the pinouts for my module were (7,6,4,2,1,9,10,5,3,8) = (a,b,c,d,e,f,g,DP, C, C) where DP is the decimal point and C is a cathode (which goes to GND). The sketch: example5p2.pdf. Note in the sketch that the decimal point is also used; it’s byte value in this example is 128. If you add 128 to the value of loopy in the sketch, the decimal point will be used with the numbers. There you go – easily done. Now it is time for you to do some work! 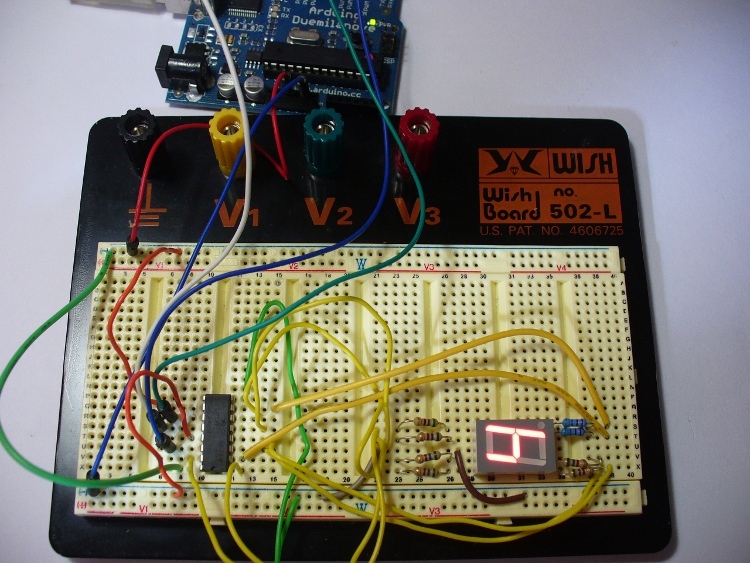 Produce a circuit to count from 0 to 99 and back, using two displays and shift-registers. 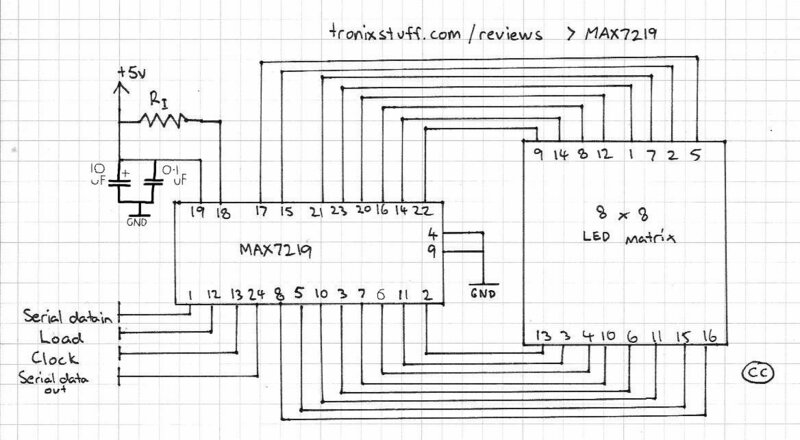 It isn’t that difficult, the hardware is basically the same as example 5.1 but using 7-segment displays. 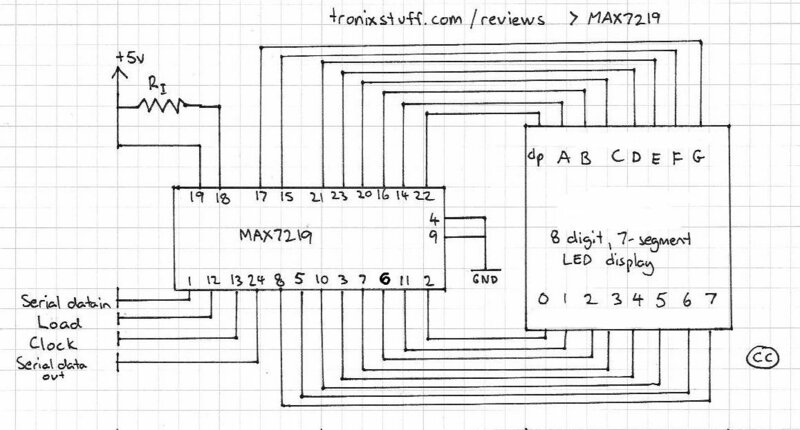 I hope you have gained more of an understanding of the possibilities available with shift registers. We will contiunue with more next week. However, next on our agenda is some real-world hacking. This section of the chapter is more of a commentary than the usual format, but I hope you find it interesting and you receive some inspiration or ideas after reading it. 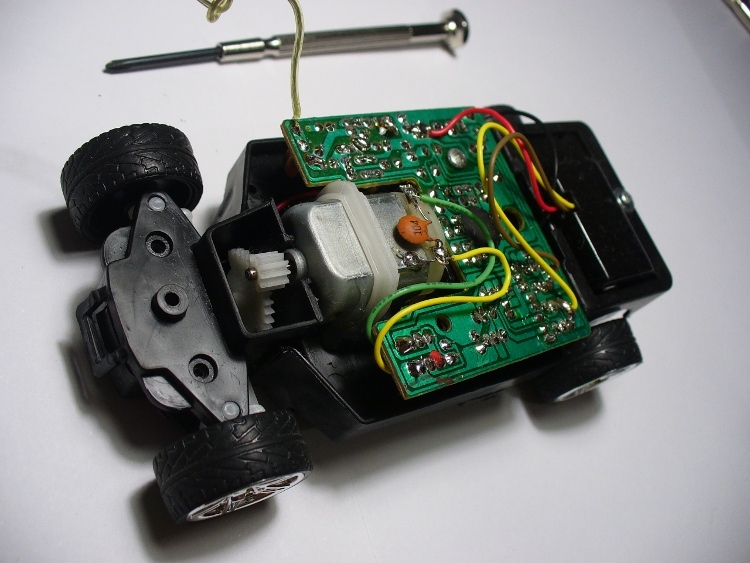 The design is very simple, with one motor controlling the steering, and one for the speed. 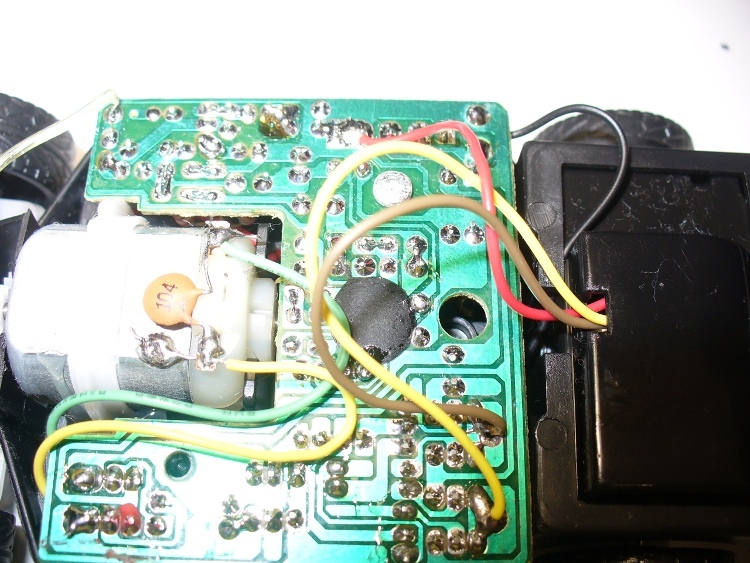 Luckily for me there were four wires heading to the motor from the PCB, and the were very easy to get to. Normally we could use pulse-width modulation to slow motors down, but I don’t think we could send a PWM signal over radio control. 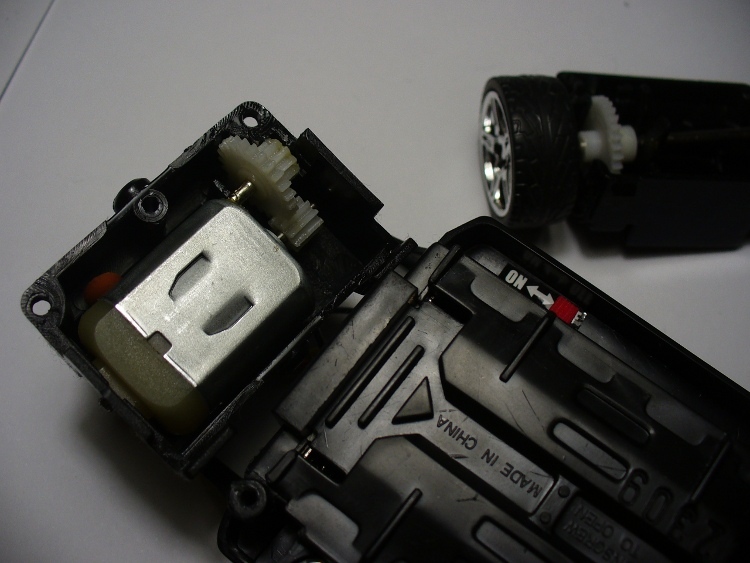 Instead, it would be easier to reduce the voltage going to the drive motor in order to slow it down. So with the car up on blocks, the motor was set to forward with the remote and I measure the voltages across the four wires. Black and green was +3.7 in forwards, nothing in reverse, black and red was the same in reverse, and nothing forwards. Easy – just find out how much current the motor draws at full speed and then we can use Ohm’s law (voltage = current x resistance) to calculate the value of a resistor to slow it down about 70% or so. The motor initially drew ~500 mA to start up and then reduced to ~250 mA once it got going after around one second. However, a various range of resistors from 10 to 120 ohm didn’t really seem to have much effect, and a 560 ohm knocked it out all together. So instead of trying to control speed with a hardware method, we will try with a software method… perhaps try PWM after all, or create our own. Excellent – each controller was basically a SPDT switch, and there is plenty of space on the PCB to solder in some wires to run to the Arduino and a breadboard. The push buttons could be replaced with BC548 transistors controlled by our Arduino – the same we we controlled a relay in Chapter Three. 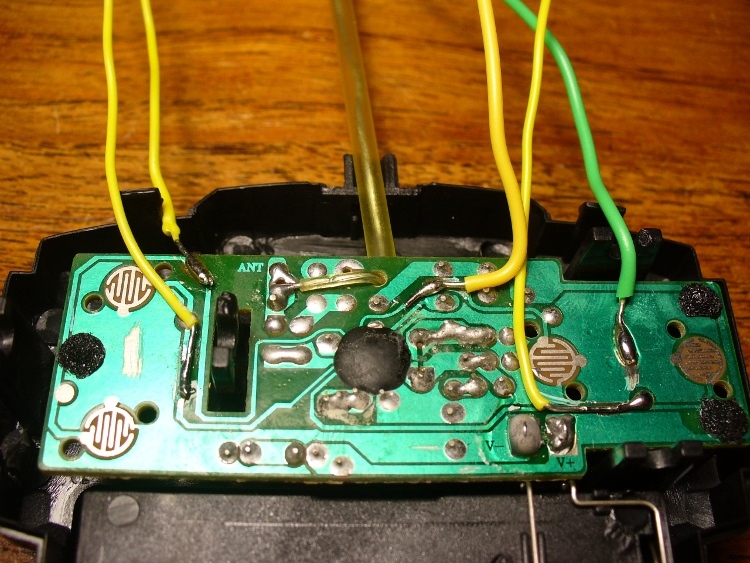 The green wire is a common return, and the yellow wires are forwards, reverse, left and right. Now to set up the breadboard. Four digital out pins, connected to the base of a BC548 transistor via a 1k resistor. The emitters are connected to GND, which is also connected to the GND of the transmitter. Just as I had finished making up the breadboard, after turning around to close a window my arm brushed the transmitter and it made a ‘crack’ noise. 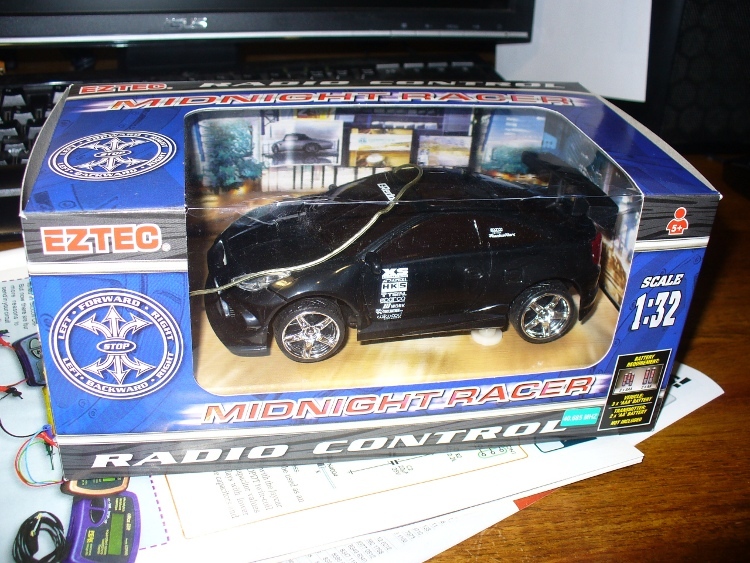 For some reason now forwards made the car go backwards. And only when I removed the GND wire from the Arduino to the breadboard. Interesting, but perhaps a problem for another day. There we have it. 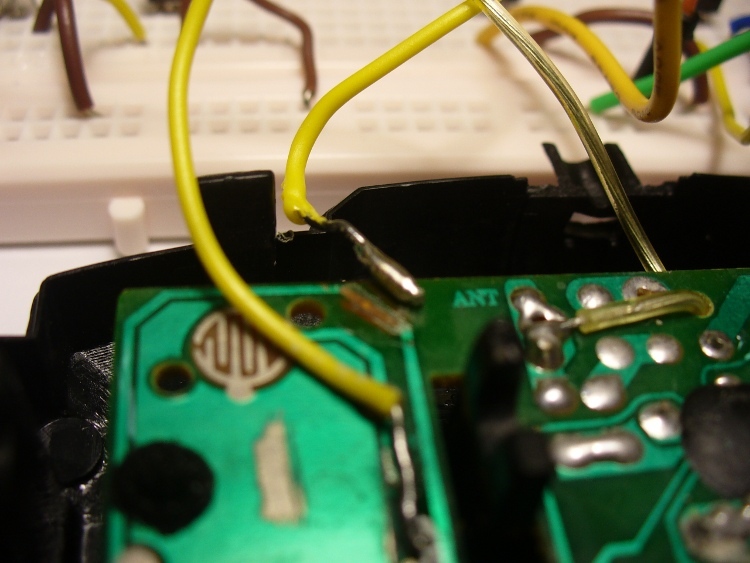 Our first attempt at taking over something from the outside world and arduinising it. Now it is back to our normal readings with an exercise! Basically a “Binary quiz” machine of some sort! 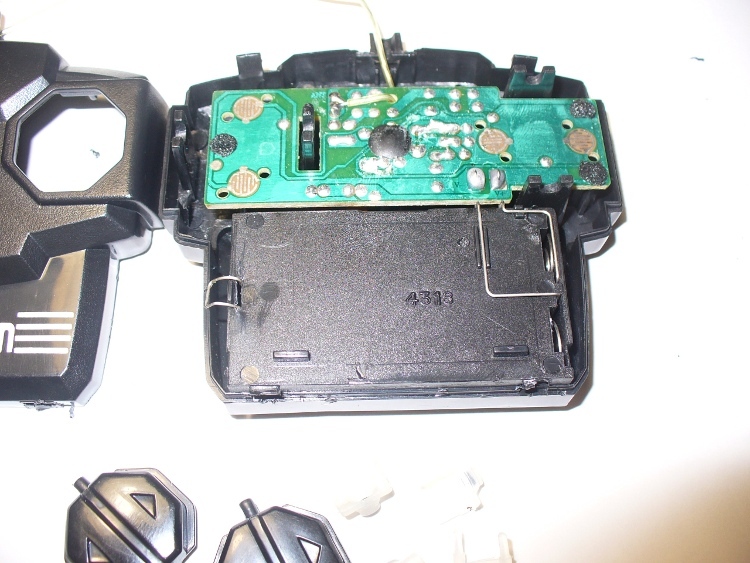 I realise this could be a lot easier using an LCD, but that is not part of the exercise. Try and use some imagination with regards to the user interface and the difficulty of the game. At first it does sound difficult, but can be done if you think about it. 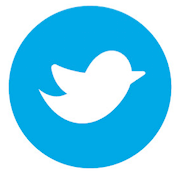 At first you should make a plan, or algorithm, of how it should behave. Just write in concise instructions what you want it to do and when. Then try and break your plan down into tasks that you can offload into their own functions. 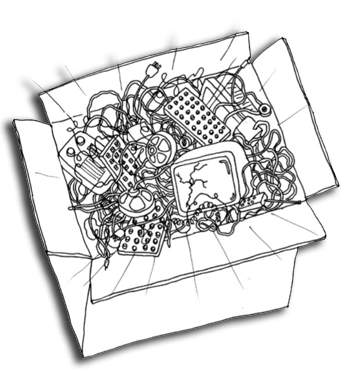 Some functions may even be broken down into small functions – there is nothing wrong with that – it helps with planning and keeps everything neat and tidy. You may even find yourself writing a few test sketches, to see how a sensor works and how to integrate it into your main sketch. Then put it all together and see! and a video of the game in operation. Upon turning on the power, the game says hello. You press the button to start the game. 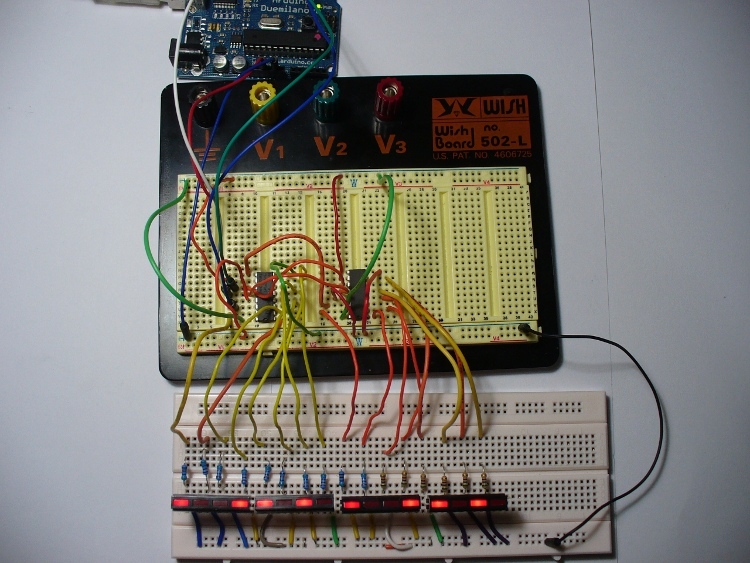 It will show a number in binary using the LEDs, and you select the base-10 equivalent using the potentiometer as a dial. When you select your answer, press the button - the quiz will tell you if you are correct and show your score; or if you are incorrect, it will show you the right answer and then your score. At this point we are taking a week off from the tutorials, however chapter six will be published around 21st May. 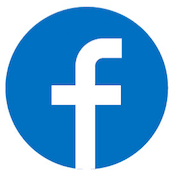 But stick around – we will have two new kit reviews, some great part reviews, and a new project published in the next 7 days, so subscribe and follow us – see the top right of this web page! High resolution images available at flickr. If you have any questions at all please leave a comment (below). 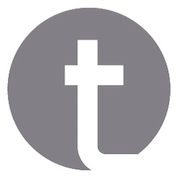 If you would like to showcase your work from this article, email a picture or a link to john at tronixstuff dot com. So have fun, stay safe and see you for our next instalment! You are currently browsing the archives for the 7-segment category.